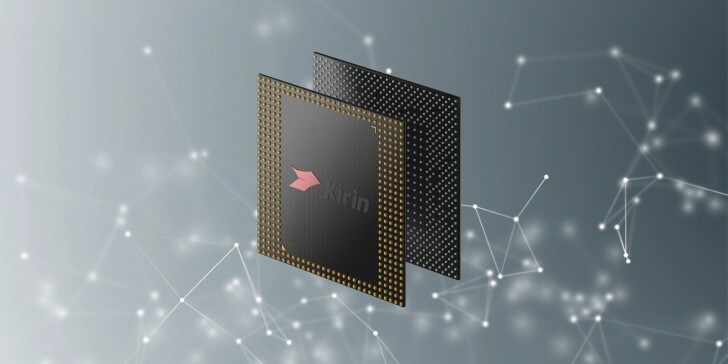 Huawei has announced its next-generation chipset for smartphones, the Kirin 970. It bets big on AI and comes with what Huawei calls a neural processing unit (or NPU) bringing on-device AI capabilities. The new chipset features an octa-core CPU with 4x2.4GHz Cortex-A73 and 4x1.8GHz Cortex-A53 cores, and a 12-core Mali-G72MP12 GPU. Built on a 10nm process, the SoC contains some 5.5 billion transistors on a single square centimeter. Huawei says its 'new heterogeneous computing architecture delivers up to 25x the performance with 50x greater efficiency' than your typical quad-core Cortex-A73 CPU cluster helping it outperform other chips on the market in AI tasks. And since all this AI prowess needs actual applications, Huawei states it's opening up the Kirin 970 to developers to find practical uses. A new dual ISP promises better noise reduction in low light and improved photos through automatic tailoring of image parameters to the particular object and scene. 4-Hybrid is Huawei's moniker for its new autofocus system and includes phase and contrast detection (what are the other 2 though?). Additionally, the chipset boasts support for 4.5G Cat.18 LTE for download speeds up to 1.2Gbps (the Snapdragon 835 and Exynos 8895 'only' support Gigabit LTE). The Kirin 970 is set to debut on the Huawei Mate 10, due to be announced on October 16. It already feels like it's going to be a long 6 weeks.